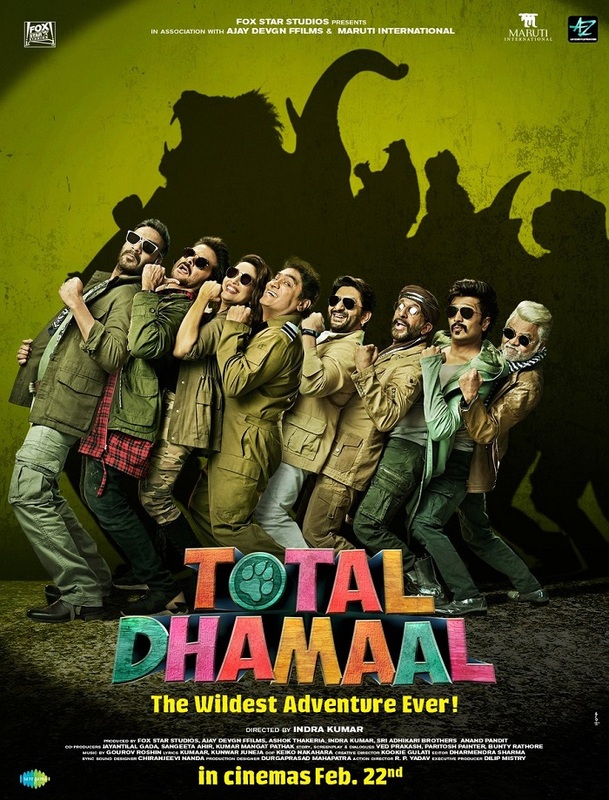 Presenting the first look of much awaited Total Dhamaal starring Ajay Devgn, Anil Kapoor, Madhuri Dixit Nene, Riteish Deshmukh, Arshad Warsi. Film trailer will be out on 21st January, 2019. Film is slated for release on 22nd February, 2019! After Simmba people are in for a full comedy movie now .So the timing can't be better than this for total dhamaal . All Buddha but all of them are expert in comedy. If they get the tone right than this will be the first blockbuster of the series.